Soaring loft ceilings and rustic exposed beams make this converted factory the most unique venue for your wedding reception or ceremony. 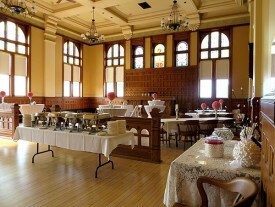 A full-service hall for seating up to 300, Catering by Bryan, stage with sound system, and much more. Reserve your date today! The 1889 Courtroom can accommodate 120-150 people. Use of kitchenette, staging room & brides room, tables & chairs. Plenty of free parking. 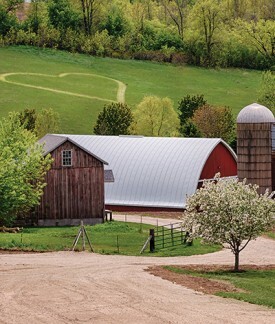 Where rustic meets romance. Breathtaking wedding/event venue. 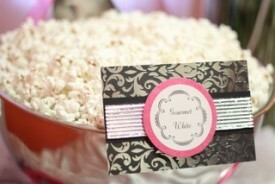 Dressed up popcorn for your wedding! Everything you need to treat your guests to a truly memorable popcorn experience is here. Have It All At The Lake! We do more for I do's. 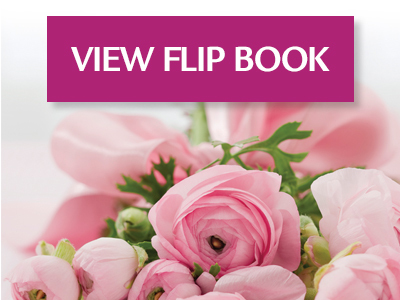 Let our experienced staff tackle every detail so you can sit back, relax & enjoy your special day! Specializing in weddings, corporate and special event gift giving for almost 30 years! 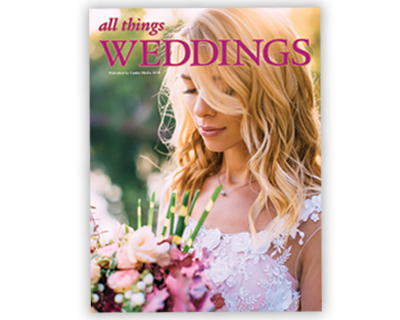 Where your wedding is our first priority. 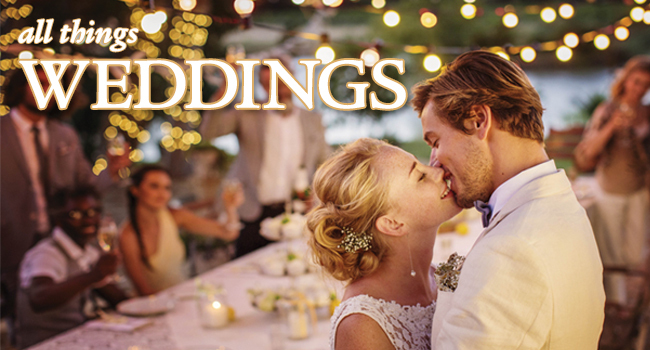 Let’s talk about your special day. 262-343-0715 or e-mail to boutsnblooms@gmail.com. See our website for introductory specials. Visit handandstone.com. 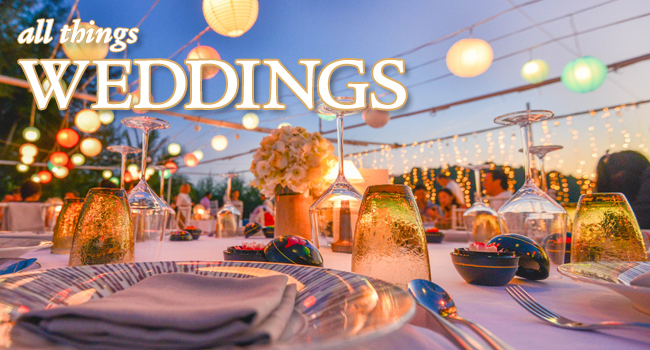 Let the unique indoor and outdoor settings of The Ingleside Hotel inspire every detail of your special celebration. 15. 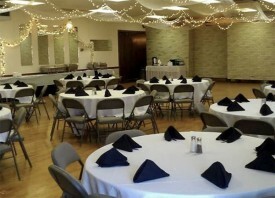 Get Married and Hold Your Reception in One Location at Pat's Oak Manor in South Milwaukee. Accommodations for 35-220 guests and we supply the minister or justice of the peace. Our specialties are catering and keeping costs in line. 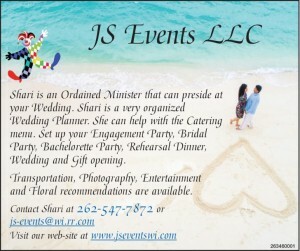 Shari can preside at your wedding and help you plan all the details of your wedding. 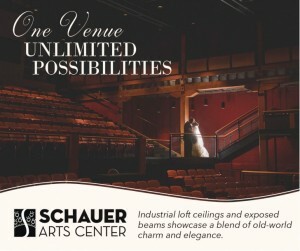 Contact Shari at 262-547-7872 or js-events@wi.rr.com. 17. Live Music Is Best! Ivory Tower specializes in ceremony, reception and celebration music with a wide variety of song selection.